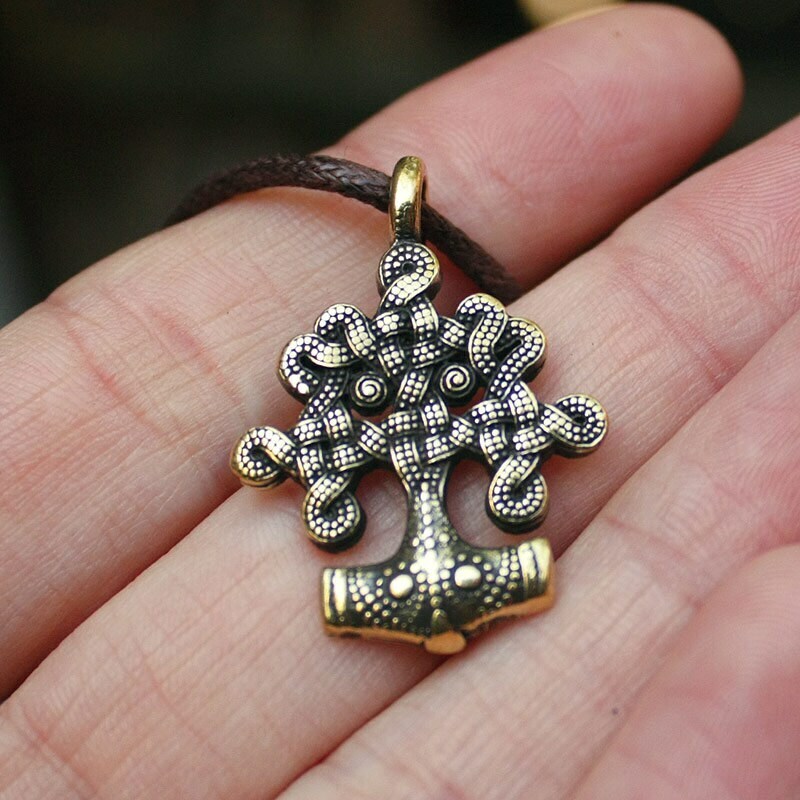 This is a real solid bronze hand-crafted double-sided antique finish pendant. In the Scandinavian mythology Yggdrasil is the structural basis of the world, the tree of life and death which connects the earth, sky and the underworld. 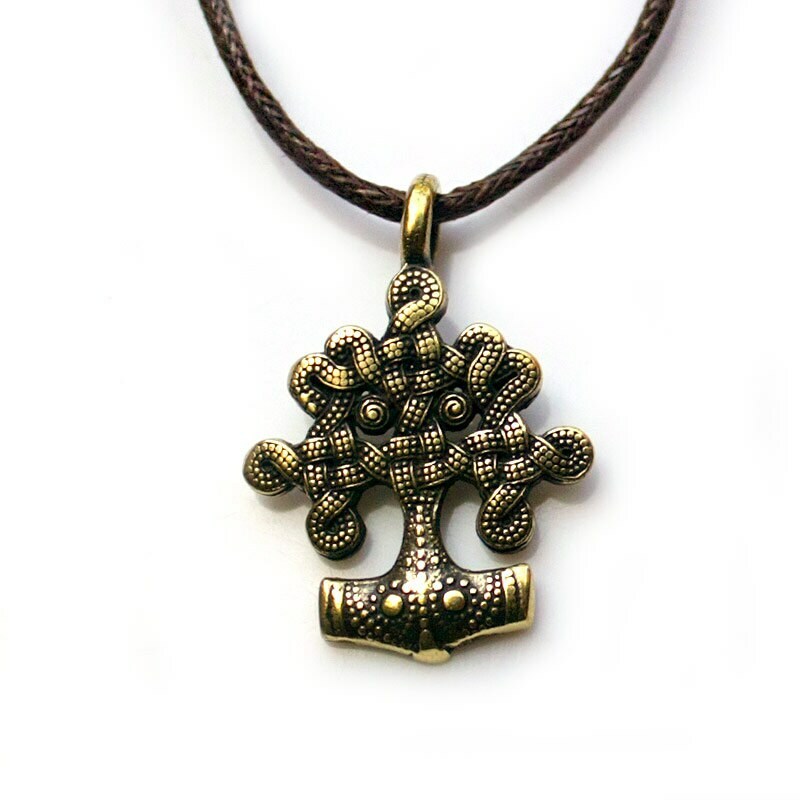 The pendant features the stylized tree and Thor's Hammer Mjolnir on one side and a tree with roots on the other side. The sources of wisdom and knowledge are in the tree roots and where all the rivers begin. 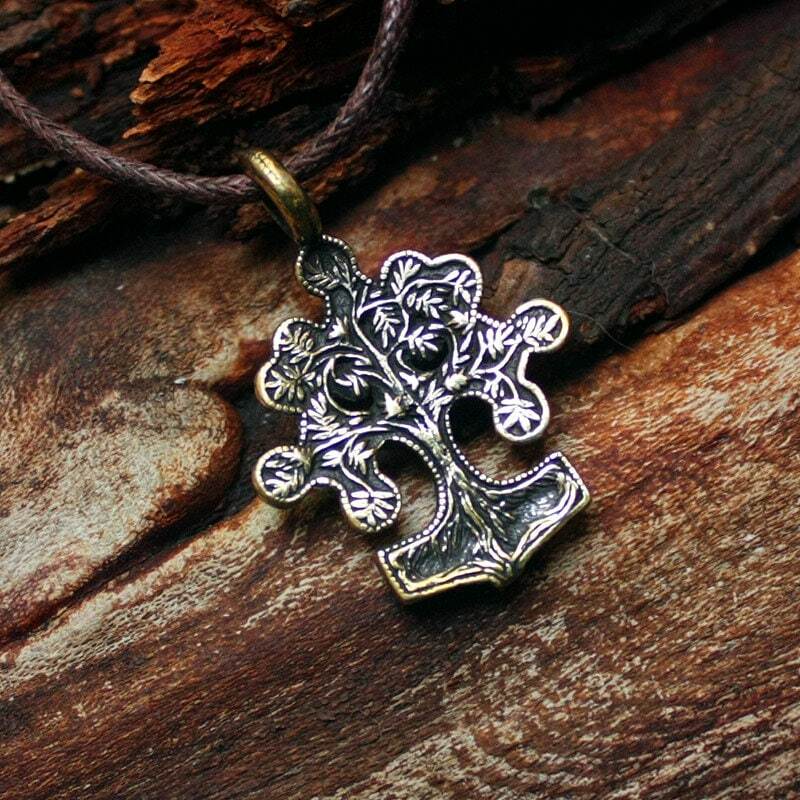 Yggdrasil symbolizes the source of life, eternal life and immortality. 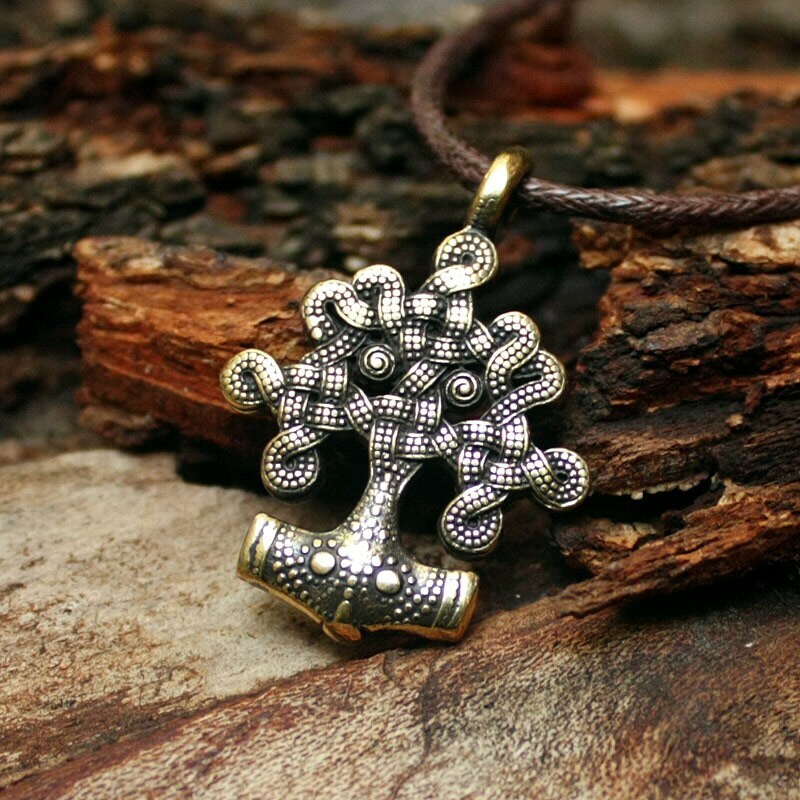 Thor's hammer, or Mjolnir, is a very powerful Nordic protective amulet, a symbol of the creative powers of man. It is a really powerful shield from any negative energy channeled towards the owner of the pendant and also carries great support in new beginnings in life. It brings luck in those situations in life over which one has very little control and protects from curses by neutralizing them. Thor's hammer gives confidence in your own abilities. Pendant size is 1" by .80" inches (25 mm by 22 mm). 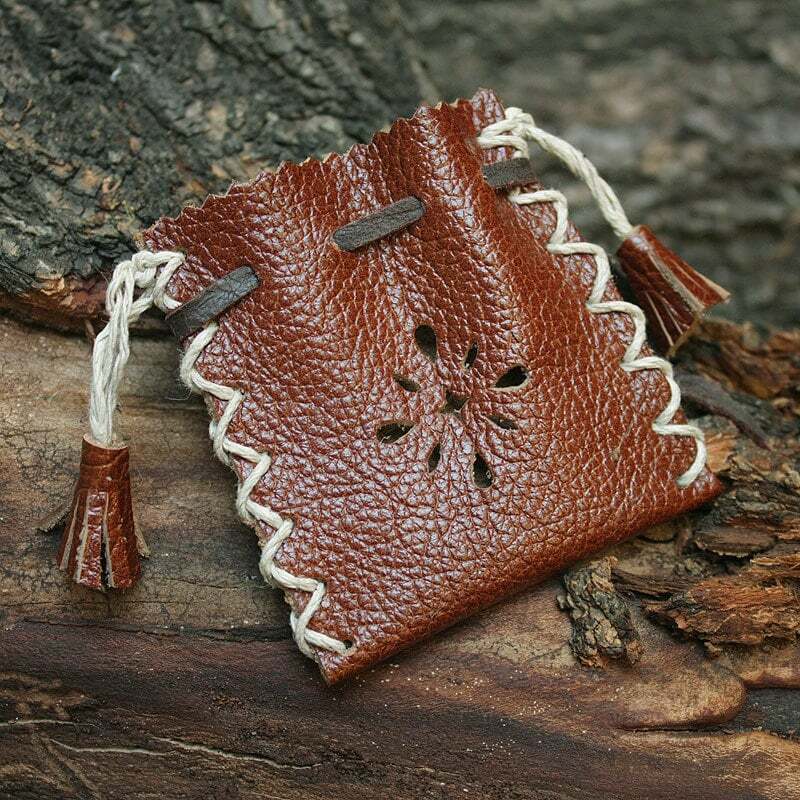 The pendant is ox finished for antique look and comes on a brown waxed cotton cord.